Greenbanks Hollow Bridge crosses Joe's Brook just upstream of a ruined dam. Ghostlike in low light, this white-painted span sparkles in the sun. Our thanks to the Town of Danville for allowing the posting of the Vermont Covered Bridge Society Welcome patch. 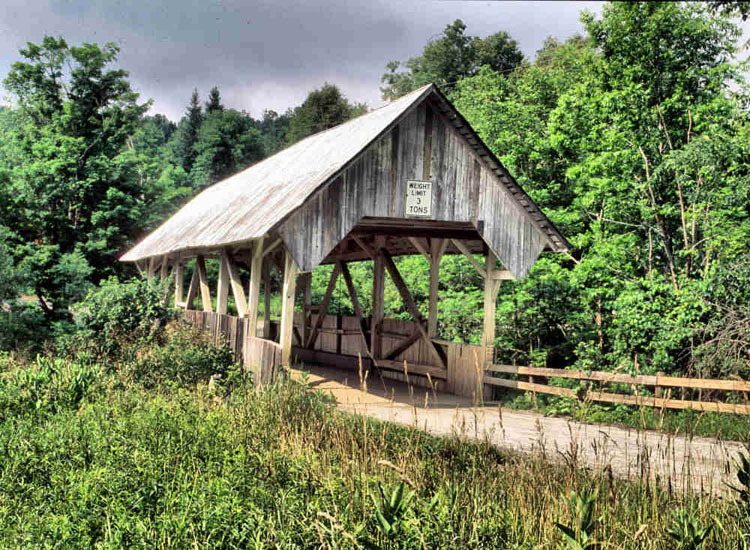 For more information about the Danville area visit their website at www.danvillevermont.org.